Make the most of India’s rich diversity and capture all its wealth in your bag of experiences, which displays all the cherished memories each time it is ripped opened. Rajasthan is one such state that screams history, culture and colour in the clearest way possible. Housing cultural gems in every nook and corner of its territory, Rajasthan is a place that is favored for family, couple or even solo vacations. The music and dance of this place make you move to its rhythms, as much as its forts and sand dunes. Listen to the beckoning call of this fascinating state and follow its sweet sounds to the historical city of Jhalawar. 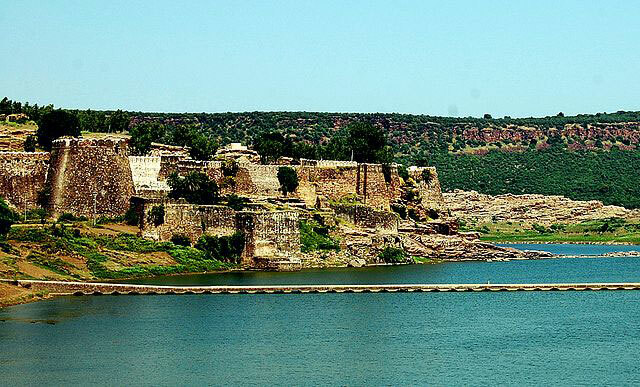 Jhalawar is a storehouse of historic and spiritual delights, ranging from mammoth forts to innumerable temples. The place is a prominent supplier of citrus to the country’s market, a fact that becomes evident upon inhaling the fragrance of the orange orchards. Visit these top 5 spots in Jhalawar to experience an exhilarating ride into the rich history of Rajasthan. Breathing life into Jhalawar is the Jhalawar Fort (or Garh Palace), located in the heart of the city and also inside people’s hearts. It was built by Mahraja Rana Madan Singh in the 19th century and it stands till date as an exemplar of royalty and affluence. A beautiful masterpiece from the Hadoti School of art, the Jhalawar Fort is adorned with marvelous paintings and murals on its walls. The Zenana Khas or the “Women’s Palace” is decorated with paintings on both mirrors and the walls, creating some beautiful and elegant effects. The paintings added by the successors of the king can be viewed only upon permission by appropriate authority. The place is a hit among locals and tourists alike for its magnanimous ambience that is upholds. Hear the sonorous bells at the City of Temple Bells, and surround yourself with the positivity of the Jhalara Patan. Situated about 7km from Jhalawar, the entire place is fortified by walls. Running alongside is the beautiful Chandrabhaga River that offers luxurious sights of the glistening waters, with greenery along the banks. 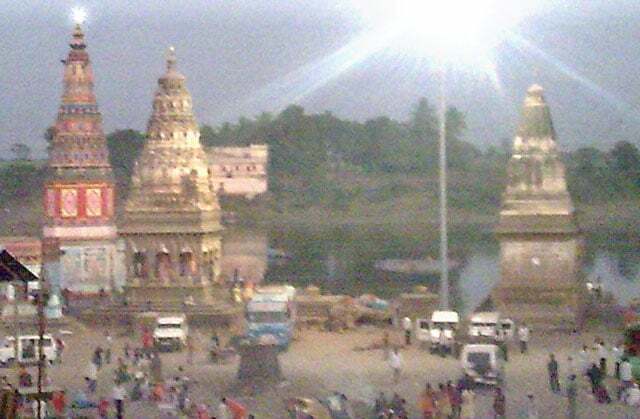 The most popular temple out of the numerous ones is the 100 feet tall Surya temple. Embraced by green lawns, with river-side view and the intricate Kota style of art, Jhalara Patan is a place of worship for devotees as well as artists, looking for a peaceful solace. The epitome of art, theatre and culture is displayed in the form of Bhawani Natyashala in Jhalawar. Built by Maharaja Bhawani Singh in the 20th century to promote theatre and plays, the place now serves as a vibrant reminder of the theatrics and entertainment of the bygone era. The place had once showcased numerous Parsi plays that still resonate within these walls. It even has an underground passage from where horses and chariots would appear on the stage to entice the audience with their wonder. Marvel in the beautiful interiors of the place and the white and red colors of the palace. Erected on the banks of the Chandrabhaga River are the exquisite Chandrabhaga Temples that touch your soul. Be in the midst of pleasing architecture and embrace your spirituality. 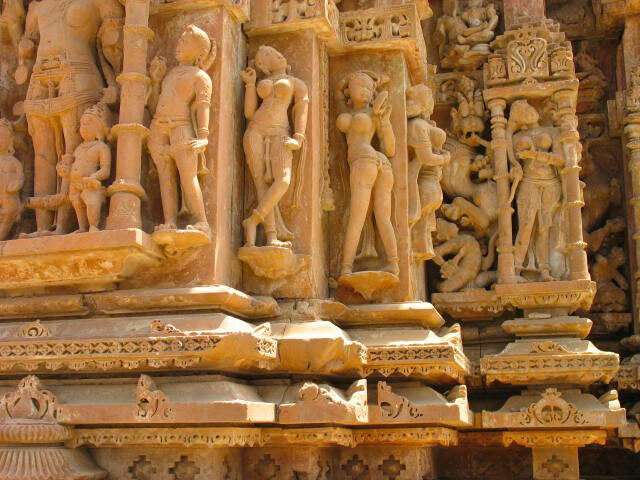 The temples have been crafted with ornate arches and pillars, serving as an important landmark of the 11th century, through the art work depicted. The Shantinath Jain Temple is the most prominent temple here and it has beautiful murals and frescoes decorating its stone walls. This pinnacle of historic beauty is recognized by UNESCO as a World Heritage Site, to be marveled at and preserved. Gagron Fort is a hill and water fort that is both awe-inspiring and soothing. The fort has been blessed by the pleasant companionship of three rivers; Ahu, Kali and Sindh, that add to the charming beauty of the place. Surrounding the fort is a colorful wilderness of peacocks and parrots. The fort contains deities of Shiva, Durga and Ganesh. Mitheshah, a beloved Sufi saint’s mausoleum is located just outside the fort and is a hub of cultural festivities during Moharam. Experience the roaring riches of Rajasthan through a glimpse of historic wealth at Jhalawar. Make some cherished memories at these lovely sights and you will surely be coming back for a second doze of history soon!